The Numina sisters are a talented family of artists who were taught to paint by their female relatives connected across the Central Desert region of the Northern Territory. Their aunties are renowned artists Kathleen and Gloria Petyarre. Their mother’s Country is at remote Stirling Station, while their father is from the Utopia community. The Numina sisters currently live in Darwin. Subjects of importance in the Numina sisters’ work includes bush tucker such as wild berries, plums, onions, yams and seeds and animals such as the thorny devil lIzard and dingo. 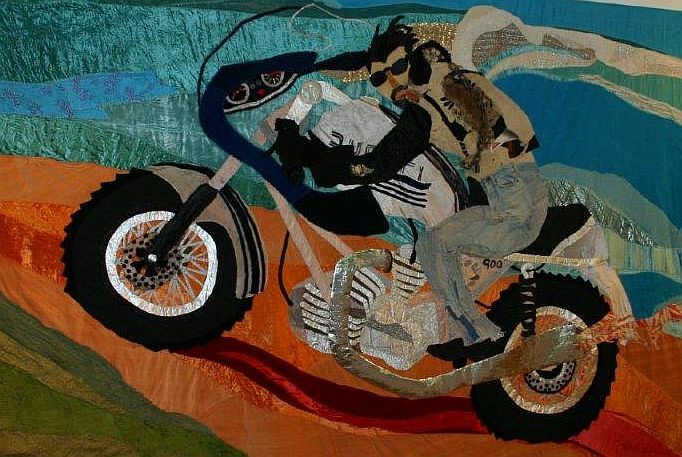 This exhibition features individual and group works by Selina, Lanita, Louise, Sharron, Jacinta and Caroline Numina Napananka along with their mother Barbara Price Mtjimbana. Visit the Art Gallery of Ballarat for more details.